What kind of SPR/HP numbers do I need for my Mystea to tank through the light/dark shift on Carbuncle's 3* trial. I mostly do fine until then, but even with Mystea's mitigation/SPR buff, she dies a bunch. She can't survive the dark AOE attack. You have to have reraise on her. I don't know why I keep storing trust moogles. Too good to use? I have reraise on her, but when she gets back up, Carbuncle has mostly murdered the rest of the team. I really, really need to trim my equipment. I'm over 350 items now. I only keep 200%. With the 50% moogles and all the others we get, i just use them as needed. The 200% is for any unit i pull that i need asap. I’m at 370% right now and trying to decide between BS Sakura’s or another Zarg TMR for M. Ramza (15% would put him over 100% all elements without sacrificing much). If we get the rumored 400% boost this month, i may do Quinessance as well. I have at least 800% of ALL moogles, mainly because I don't have TMs I absolutely need to have right now. Most I can just wait to macro farm for. But having a bunch of 100% ready to go means I can get a TM from a unit when I need / want it, either for a new unit or to get a 7* TM for their trust ability. So not using my moogles had meant that I've stockpiled a bunch. I'm around 450 right now, could have another 200 if I merge the extra units into 7*s. I'm waiting until I need the moogle though because I might get another of those units to make another 7* and get that counter to go up. 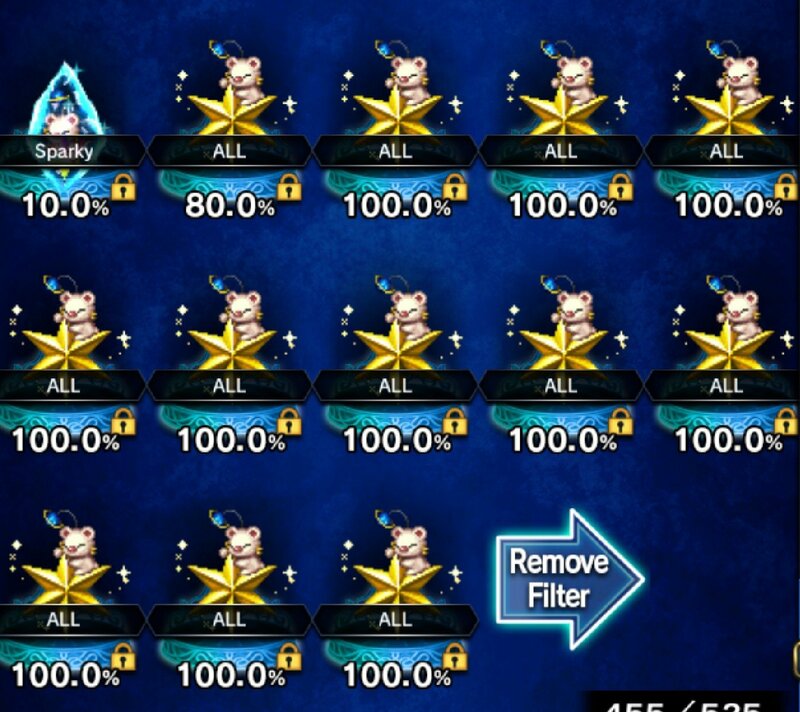 Edit: I did moogle Nyx most of the way and he was sitting at 99.9 all week, even though I was using him every day to do the event. Finally got his TMR, now sitting at 10k HP and 1750 ATK. He's not the most powerful unit, but I'm enjoying having him in the party again. We're approaching page 100 of this thread. Impressive but they aren't doing anything just sitting there. I'd much rather bolster my 2nd mage or 2nd physical DPS. Or get more HP access for healer/support/tanks. I don't have any people with TMRs that would really change much. All I have are minor upgrades or niche weapons (ice spear). I will use them on future 7*s that I plan to use. 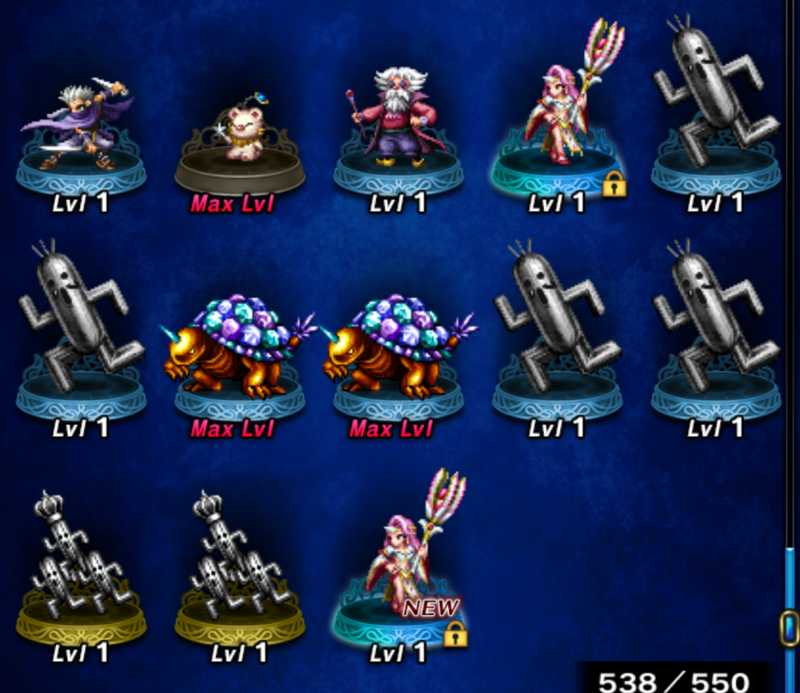 All my current 7*-able had their TMRs farmed long ago. Blessed by the RNG Gods: Bought the first step of the Step-Up. Rainbow appears, Citra comes out. Should I even continue the Step-Up for a 2nd, or just be satisfied with the luck? One isn't really useful. I think? The bane of the 7* meta. I guess since you did the step up, you specifically wanted her as a unit, so I'd probably keep going. Otherwise, she's perfectly usable as a 6* and maybe you'll get lucky with a dup down the road. What do you use for Accessories on your tanks? Materia on tanks? Any LB increasing stuff like Mystic Skull for supports? I did the first three steps and got lukewarm garbage. Don’t do it unless you have no other summoner or like the unit on its own, I think. Really need more pots, 7*'s sucking them up like a black hole. I hope the new arena board has normal sized pots to help out. I'm ok except for attack and burst pots. But man, that jump from 25-30 is an insane number of burst pots. Uh.. I have Lid's TMR. What are the best? I can see if I have them. I don't have a Mystic Skull complete. Pirate Jake might come back for Halloween and his TMR is pretty sweet. Also Arsha’s Talisman (Elle) is good despite coming from a 3* unit. I have two of the latter. Didn't get a Pirate Jake last time. Here's hoping. These are unfinished TMRs. If anyone sees something I should prioritize, let me know! Agree with Maraji, i’d wait and see if P. Jake comes back. Bling Necklace is the next best. Soluna band is another great one. Not sure what materia you use but i have 3 Thirst for Survival and 3 Pat Recalls. I find TfS to be more useful since evade can nullify PR a bit. I’m throwing Garnet in the farm as well since elemental resist is becoming more and more important. I have at least one of both of those. Also Bling Necklace. No on the Band though! So my favourite class in FF is Summoner. And Citras unit design is so nice. Not to mention her LB (because all the cool espers, guys, geeeeeez).  So I probably put too much resources into this one then I should have with Halloween around the corner but uh.. Managed to get two! 7* get! Sledgehammer run just got me +25% HP and +12% SPR. Good enough for me. +45% HP on a weapon slot is super nice. Woo I got rare on Holy Rod. +32% SPR and +15% MP. Not bad! I’ve been using all my saved up pots but not getting much of anything. 10%’s at best. Loved my all 1% 8th round. Really hating IW right now. The desire sensor on this game is frickin real, I have no desire to get Citra, but I do want Lotte. So I throw a few tickets at the banner... 4 to be exact. Running the Uldhefinn axe through IW trying to get +20% ATK on it. That way if I decide to run VoTF he'll be at the ATK cap without any materia. Thinking about axes, the Halloween Event would be a perfect time to add a GLEX two-handed axe to the game, be it an executioner's axe or a giant meat cleaver or whatever. I'd prefer non-elemental, but chances are it would be Fire or Dark elemental (or both) to fit the Halloween theme. Then again, we may just get Halloween Gun, the gun that shoots Halloweens. I can't believe I didn't pick that axe up. Sad. I'm assuming the Bonus Stage is as hard as the previous one? Should be a bit easier according to reddit. It's Io and Searcher, Erinyes, and Architeuth. So I put together a summoner team with PS Rydia, Yuna, Garnet 6* and Garnet 4* (LB filled each turn) and set them loose on Ifrit. Friend unit summons Lakshmi for healing. So far so good. Much easier. Both the Searcher/Io and Architeuth were just parts of Surging Menace+, and easy enough to handle on their own. Erinyes was semidifficult when it launched (partially because you couldn't bring a friend unit), but now is just OTKO bait for even slightly geared parties. Might have the shittiest luck ever in IW, but I finally got Switch Controls to work! Turns out you really need the zoom when recording for some reason. Tested out for all 6 battles in the memory book and worked like a charm, spark chains on every one. Just for fun, tried it on Aigeon and wiped him easily with T.Terra spark chains.